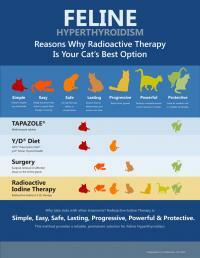 Please take a moment to view our feline hyperthyroidism infographics "Reasons Why Radioactive Therapy is Your Cat's Best Option" and "Things to Look for in a Treatment Method." 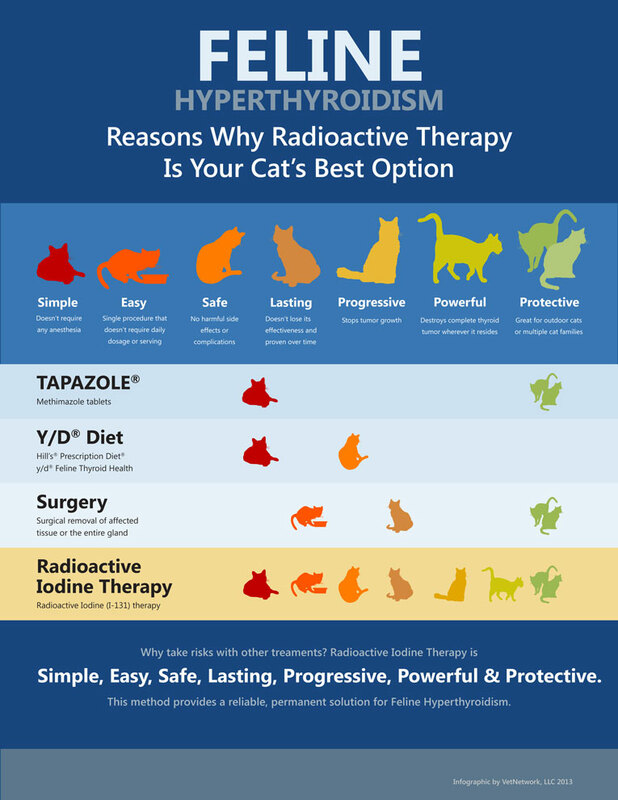 Each image presents clear, to-the-point explanations for why radioactive iodine therapy with Thyro-Cat is the best option for a safe, lasting, and progressive therapy for your feline companion's hyperthyroidism. Compared to other, more invasive treatments, Thyro-Cat's radioactive iodine therapy is the only one proven to be a permanent fix that does not lose its effectiveness over time. 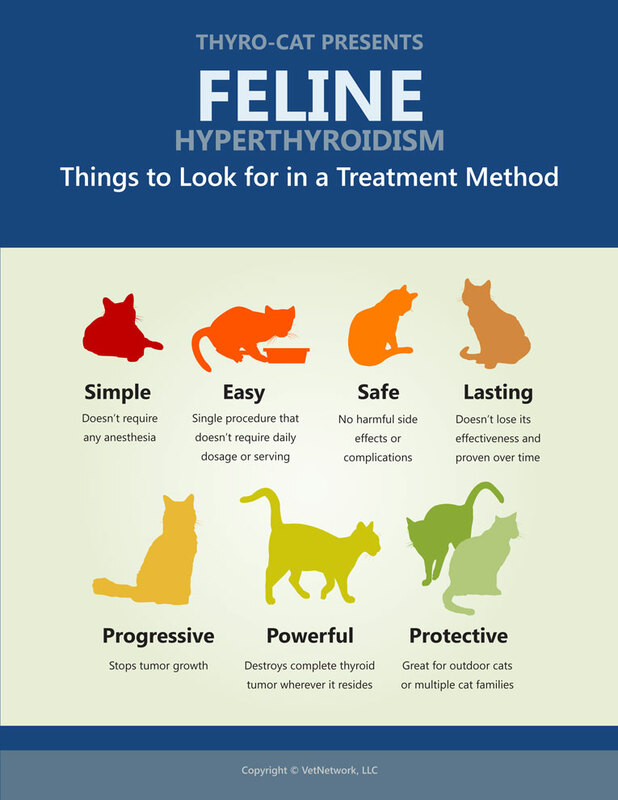 It is also the only cat thyroid therapy option that puts a stop to the problem by completely destroying the thyroid tumor wherever it resides. 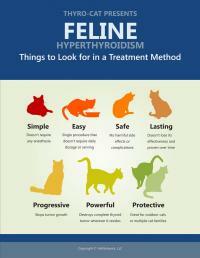 Feline hyperthyroidism is a very common disease of middle-aged and older cats. It is caused by an increase in production of thyroid hormones from enlarged thyroid glands, located on both sides in the cat's neck. This enlargement is most often caused by a tumor called an adenoma, which is almost always non-cancerous. However, the disease causes symptoms such as weight loss, increased appetite, restlessness, fast heart rate, increased water consumption, vomiting and diarrhea – and the symptoms get worse as the disease progresses. After considering the information presented below, please call Thyro-Cat at (866) 467-8228 (TCAT) to learn more and to schedule your cat's treatment today.